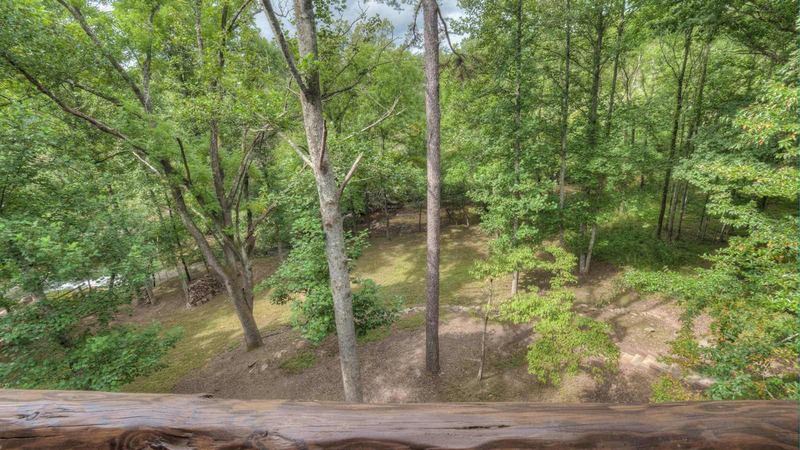 Have you been searching for the perfect 3-bedroom cabin with all the extras PLUS amazing Fightingtown Creek Frontage to die for? 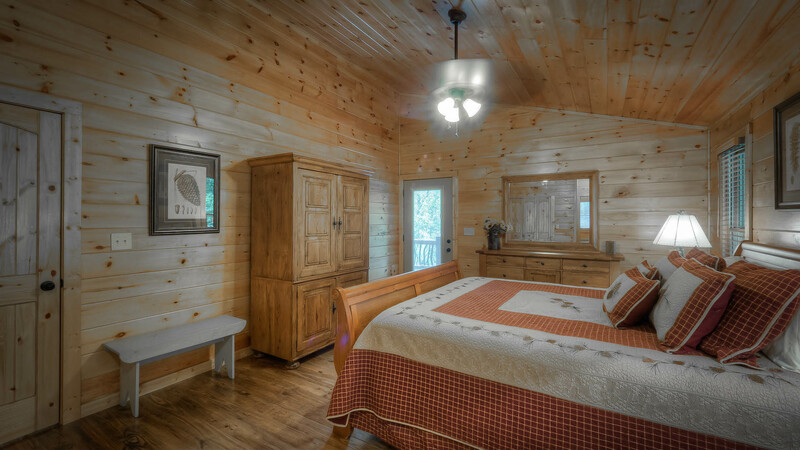 Well, you've found it at Fightingtown Creek Lodge! 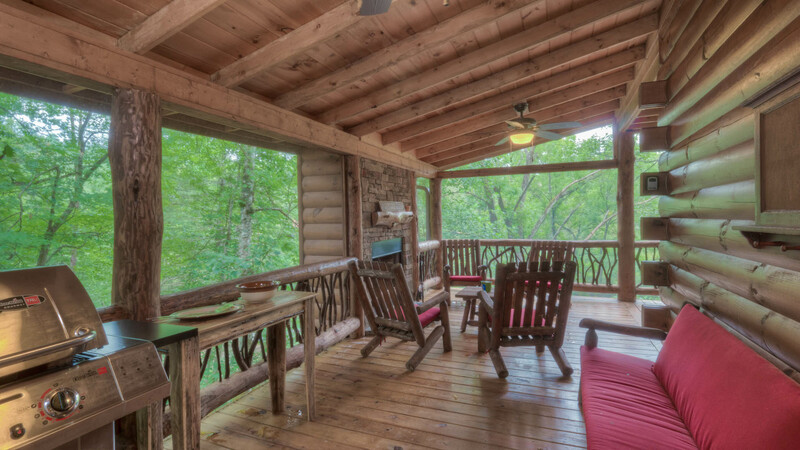 This unique, creek front cabin boasts two outdoor fire pits, an outdoor fireplace, a screened in porch, 3 full bedrooms with their own TVs, and more! 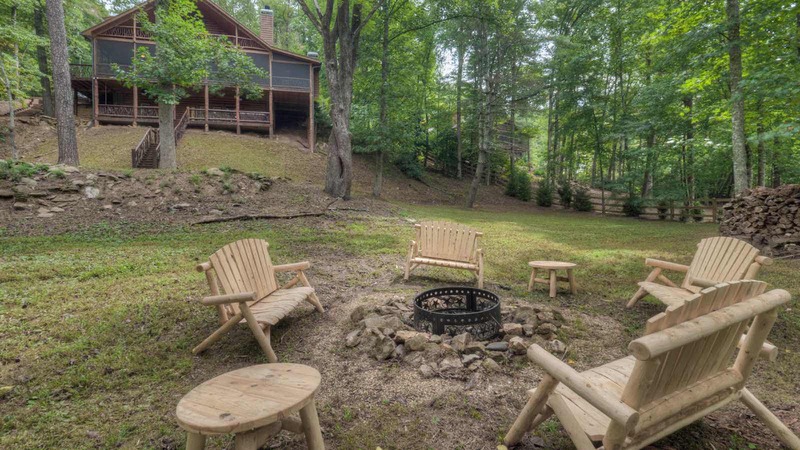 Upon arrival, you'll note the first outdoor fire pit area. 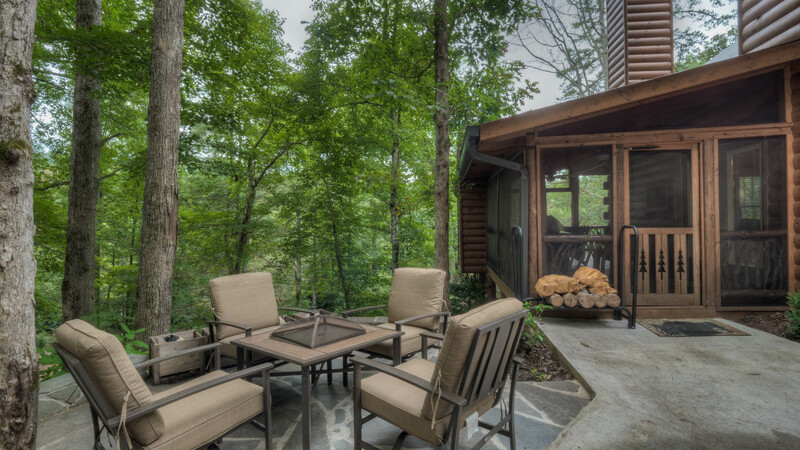 This "fire bowl" type fire pit sits on a beautiful rocked patio surrounded by seating and only steps from the main level deck. 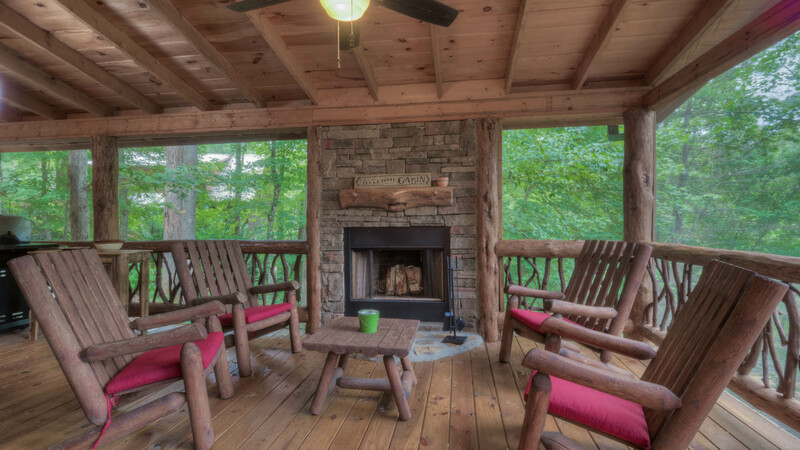 The main level deck is screened in and offers a gas grill, outdoor wood burning fireplace, lots of patio seating, and a outdoor dining table. 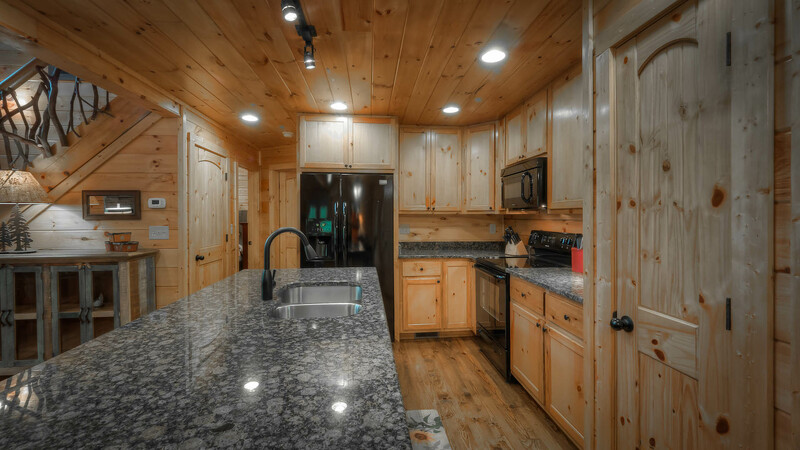 Inside the main level you'll find a granite counter topped kitchen with a breakfast bar with seating for 3. 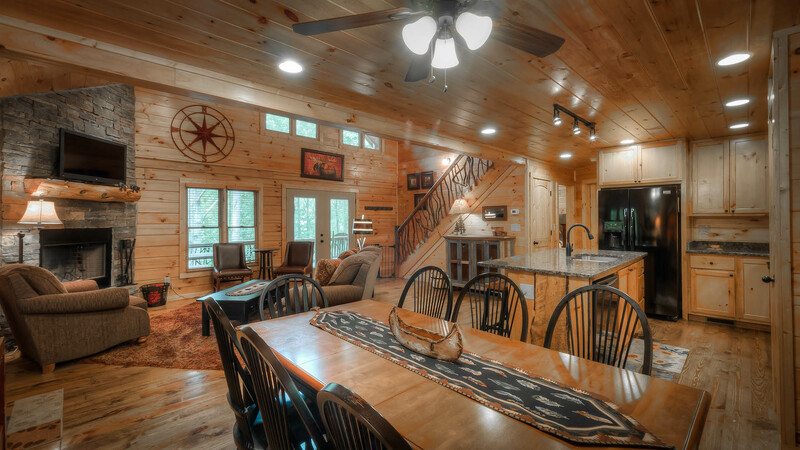 The kitchen area also has a dining table with seating for 8 guests. 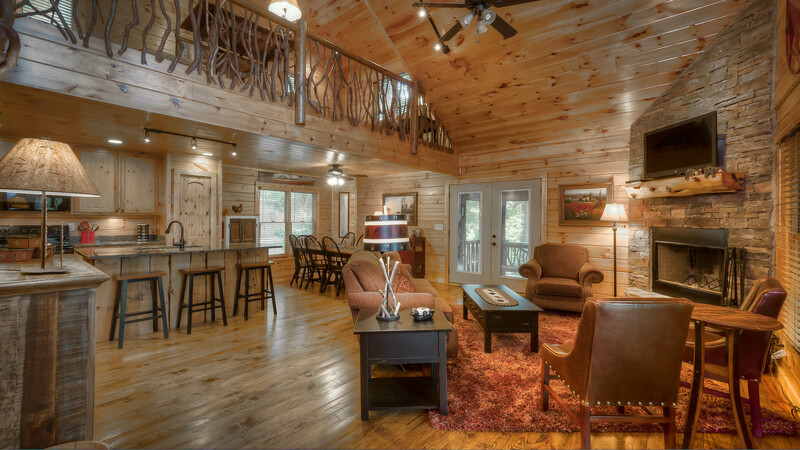 This space flows into the living area with the stone wood burning fireplace which boasts a flat screen TV and cozy seating. 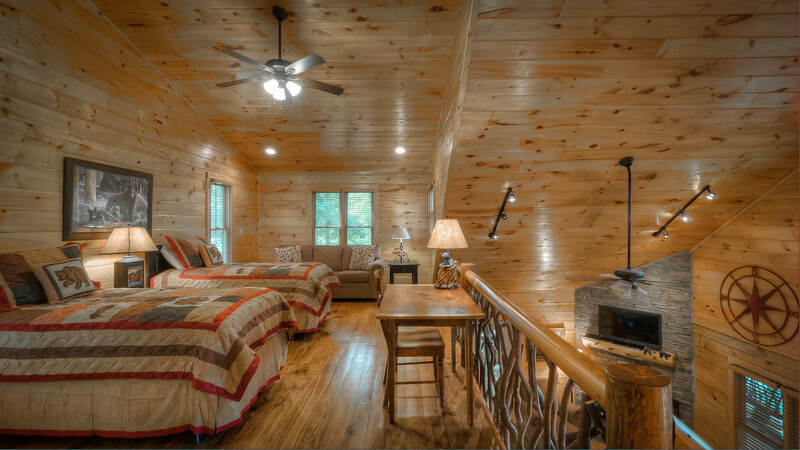 Just off the living area is the main level bedroom. 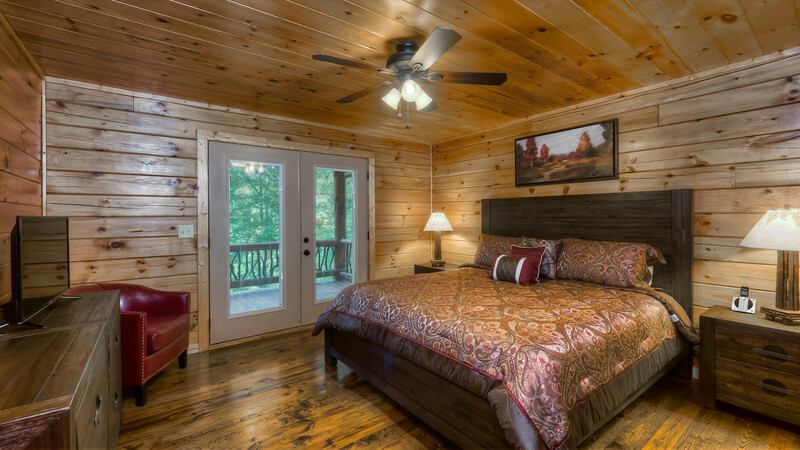 This bedroom has a King size bed with French doors that open onto the main level deck and TV in the bedroom cabinet. 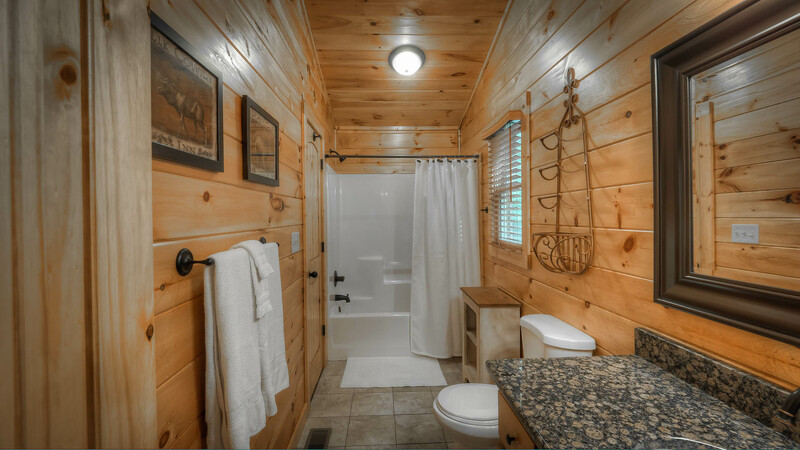 This bedroom also has its own bathroom, which is a shower/tub combo and a single granite counter top vanity. 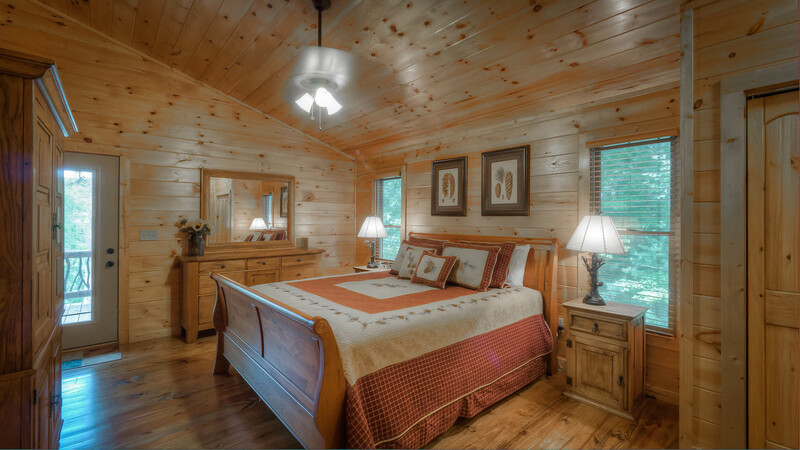 Head to the upper level for the master bedroom and even more space! 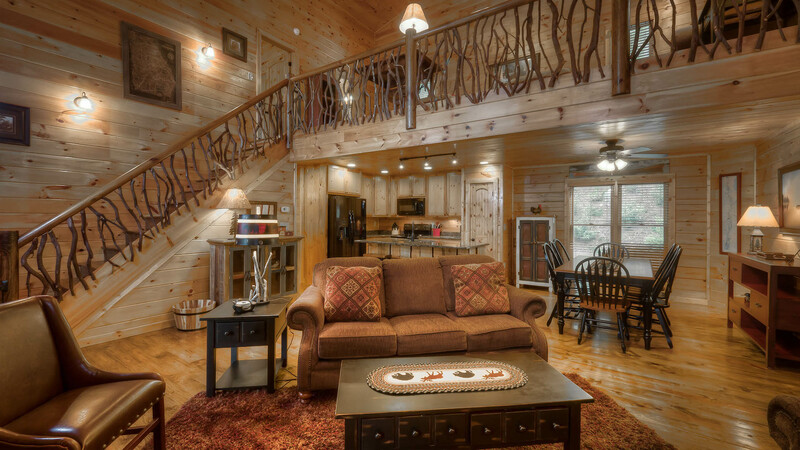 The open loft has two handy twin size beds and overlooks the living area with large glass windows. 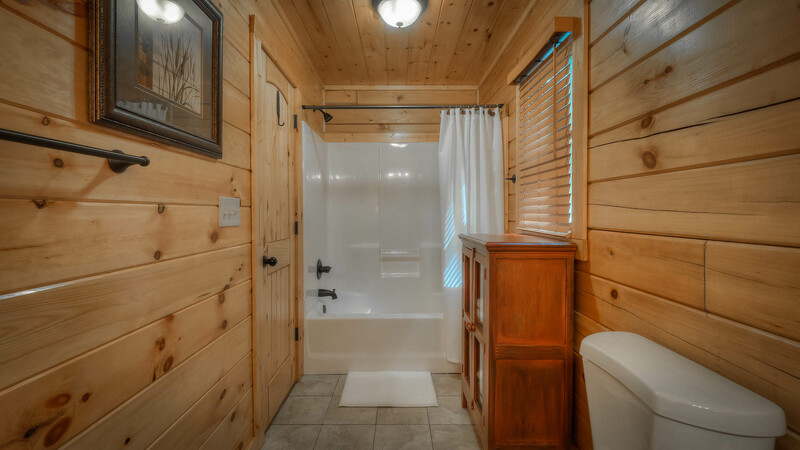 The master bedroom has a King size bed, its own private balcony with a hammock, its own bathroom with a tub/shower combo and single granite counter top vanity. 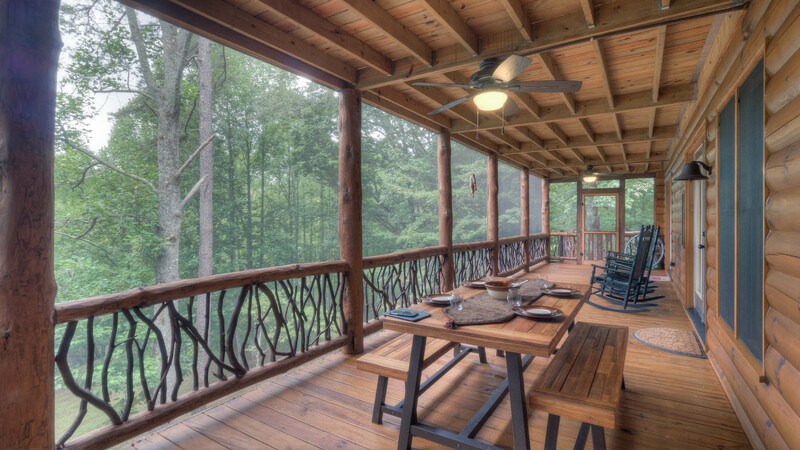 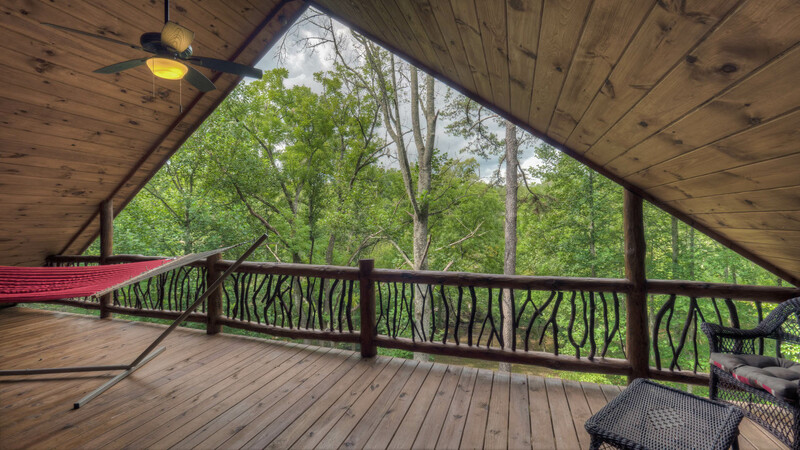 The unique private balcony overlooks the grounds below and is ideal for relaxing while watching the creek below or viewing local wildlife. 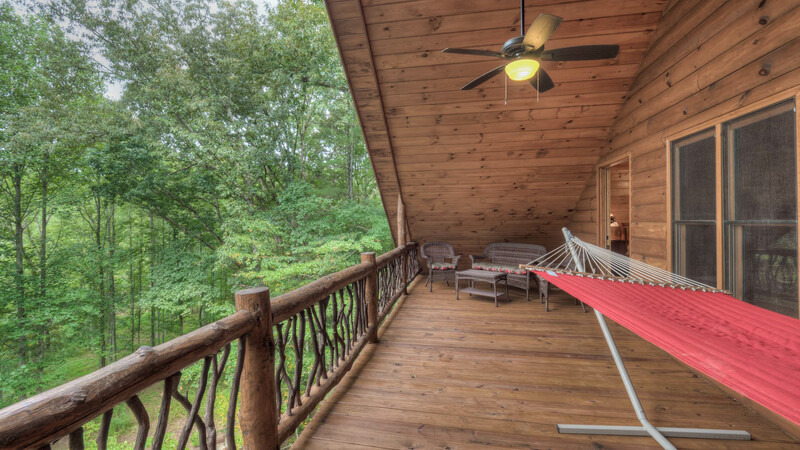 The private balcony here has patio seating along with its lounging hammock. 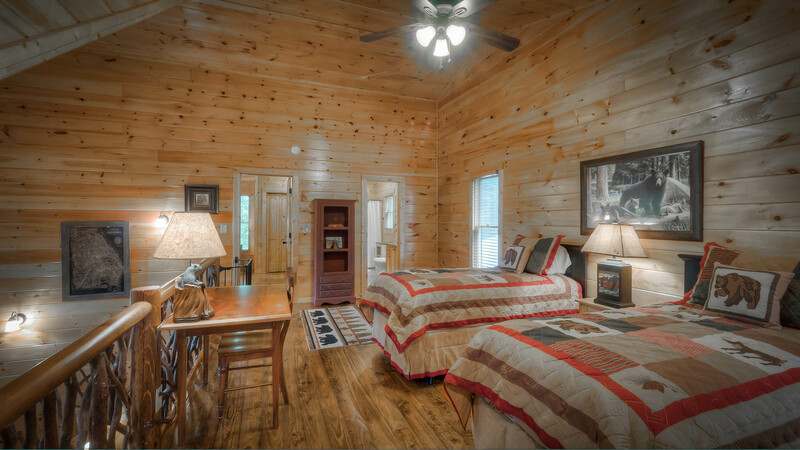 Its game time! 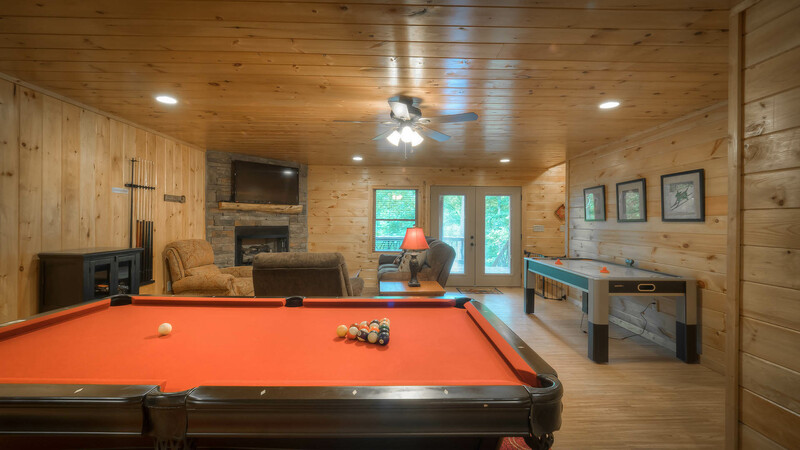 Journey to the basement level for a game of pool or air hockey, as well as an arcade came to enjoy. 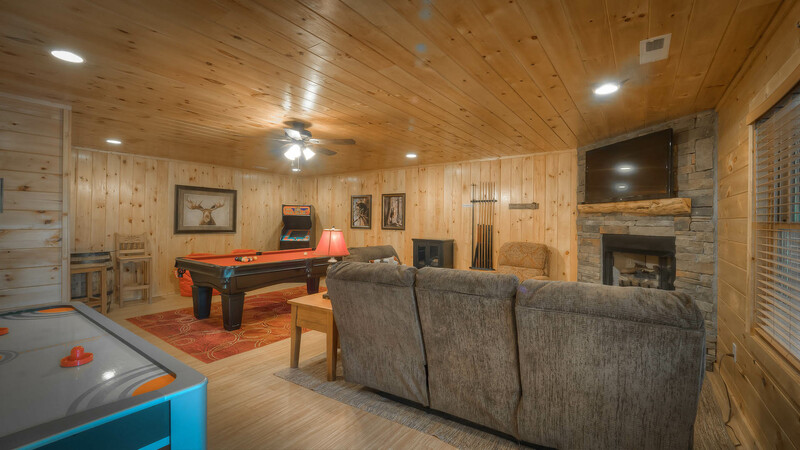 The game room has a stone gas log fireplace as well as a flat screen TV with cozy seating. 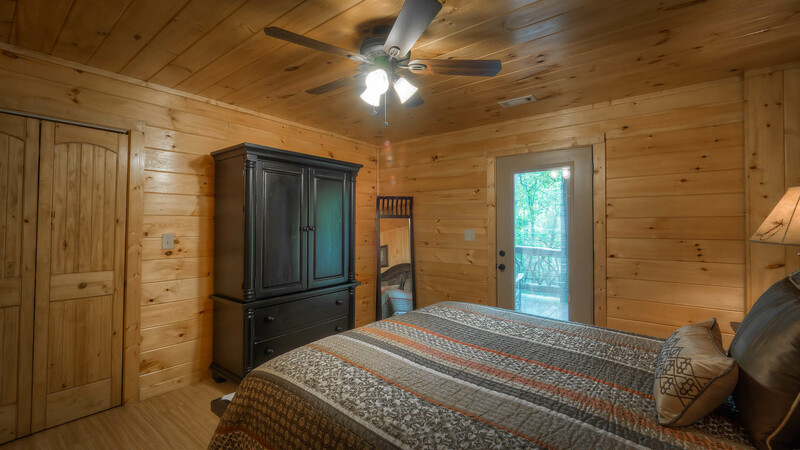 Around the corner from the game room is the lower levels bedroom. 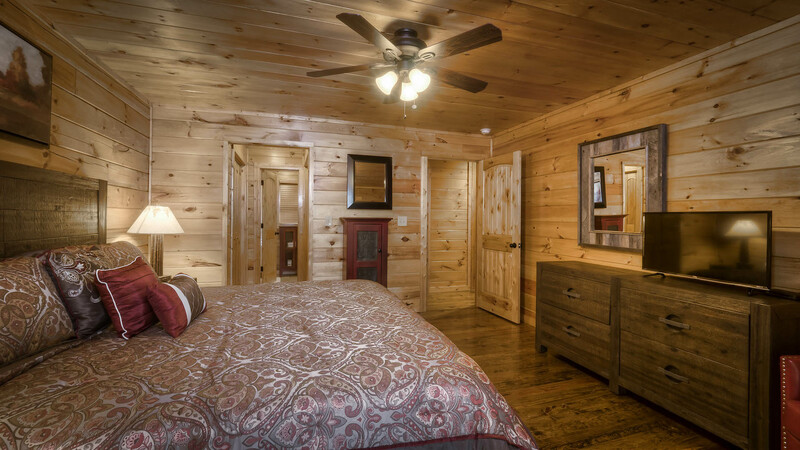 This bedroom has a Queen size bed, a flat screen TV and its own bathroom with a single granite counter top vanity. 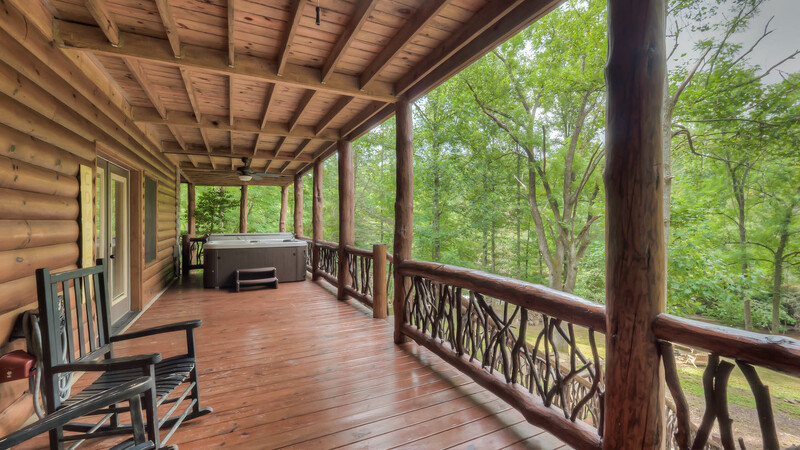 Just outside the game room level is the hot tub on the deck overlooking the outdoor fire pit by the creek. 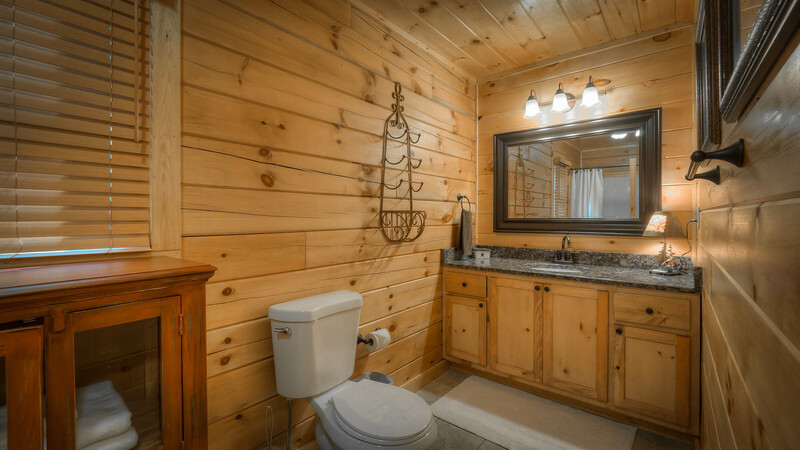 Steps from the cabin is the main attraction, Fightingtown Creek! 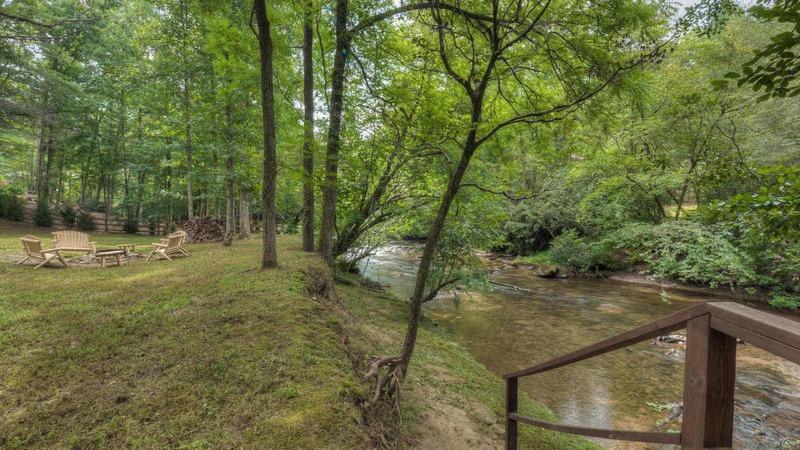 This is a beautiful stretch of Fightingtown that flows around the edge of the property and has a awesome fire pit with seating. 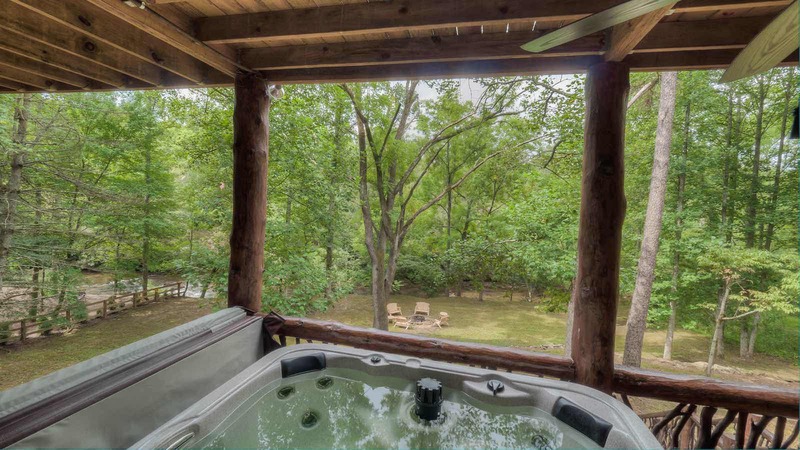 Here you can enjoy your other guests, a glass of wine or local brew, roast marshmallows, etc... all while the creeks rushing waters sooth you. 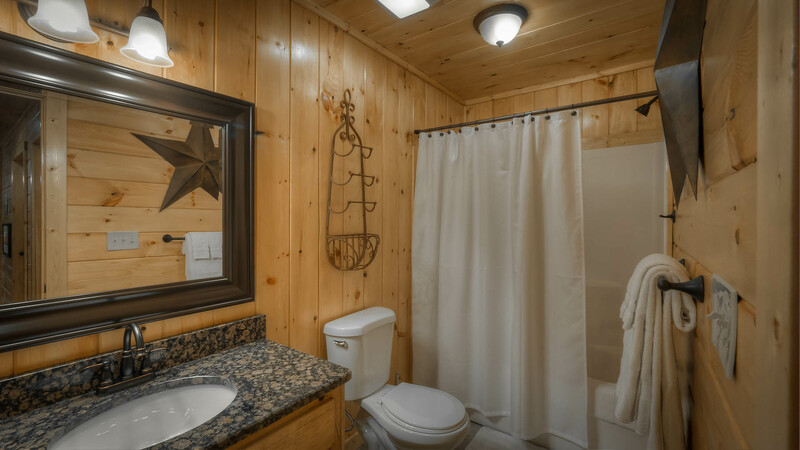 Inside and out, Fightingtown Creek Lodge has the space and wonderful amenities to make your cabin getaway a perfect memory. 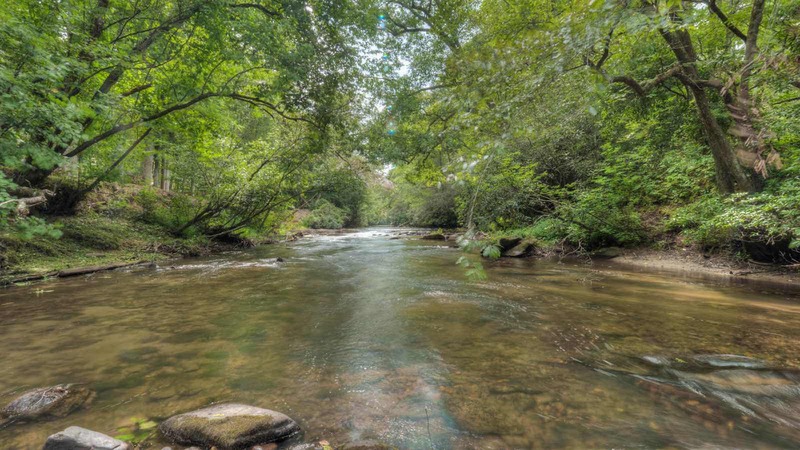 Reserve today to enjoy one of the best spots on this famous creek with friends, family, or just that special person!